AAGP | Join The AAGP | Meetings | Common Dig | Dig Pics | Business Digs | Prospecting Lessons | Purchase GOLD | Events Calendar | FREE GOLD! THE place for prospectors and miners to buy and sell their used equipment! Please note that if you wish to offer or solicit equipment here you must include your real name, e-mail address and a verifiable phone number along with a complete description of the equipment you wish to buy or sell and the asking price of all items for sale. Please indicate whether you prefer your e-mail address and/or phone number to be included with your listing. Listings must be sent via e-mail to: and be able to be used in a "cut & paste" format. Picture ads will also be accepted and the proper rates for both types of ads can be found on our Advertising Rates page. This service is currently provided to you for a small charge to help promote this wonderful hobby we all share, GOLD PROSPECTING! All listings are for a 30 day period and then removed unless payment is for a quarterly listing. The AAGP does not necessarily endorse any of the products or services listed for sale and all results from listings are the sole responsibility of the parties involved and not the AAGP. Currently there are no mining or prospecting equipment listings. Every month we receive many calls regarding the availability of buying or renting local equipment. These inquiries come from both new and more seasoned prospectors and from many that come to take prospecting lessons. We've always avoided offering equipment for sale directly but have tried to promote local prospecting shops with the sales of their equipment. This is a natural symbiotic relationship as is many such relationships in all areas of business. In this spirit we've told many that inquire about what is available locally and there are several good shops with at least one on both the East Side and West Side of the city. The owners and employees of these shops are typically knowledgeful, considerate, patient, respectful and courteous to new and old prospectors, as they know this is the way to promote both their business and this wonderful hobby. This is obviously why we are able to continue to recommend them. Recently, when alerted to a new shop on the West Side, an attempt was made to contact them in order to discuss what they have to offer the prospecting community. We wanted to see if we would be able to recommend them to other prospectors and feel comfortable that they would continue the good helpful and courteous service the other shops offer. After making a proper introduction an attempt was made to discuss the equipment they produce and offer for sale. Unfortunately the brief conversation that ensued was basically short, curt, rude and outright discourteous. When it was confirmed that this was the owner who was exhibiting this conduct it was asked if we had called at a bad time. The reply we were given was "No, but that after hearing the same thing over and over every day it gets old". Imagine if you had a fever and ear ache or tooth pain and your doctor or dentist displayed this response to you when you went to him for help! Would you really want to trust them with your problem or needs, much less give them your hard earned money? Needless to say with an attitude like this it was abruptly apparent that we could not recommend them to others. We want to help and see new prospectors receive good and helpful information when they want to get into this wonderful hobby or when they want to expand their equipment profile. They should also be able to receive it in a friendly, courteous and professional manner. Our reputation in the prospecting community is important to both us and the community itself. Likewise, if we make a recommendation to someone who wants help and knowledge in buying equipment and they are treated like this then it makes both us and the local prospecting community look bad. If potential customers are treated like this when they are trying to inquire about or purchase equipment what could they expect when they need parts for or help with problems with their new equipment? Even though we do not sell or distribute any equipment through the club we have a good working relationship with the major and well established manufacturers in the prospecting business for almost 20 years and we've never seen this kind of display of rudeness and total lack of appreciation or consideration of a business inquiry by a business owner. They obviously care very little about trying to promote either their product or business in the community. Hopefully this "young", new business owner, in a town with the same description, will eventually learn better professional manners and business decorum and will one day become an asset to the local community and improve their reputation. So with this said, we must reiterate when buying equipment, especially from new manufacturers, it's "BUYER BEWARE" as has been since the beginning of time. Remember it's always best to ask a local expert when you want to find out more about what equipment works best in the area and where you should seek it. Needless to say, cheaper equipment is typically just that! As a follow-up note, I received a phone call last week from a gentleman regarding the above referenced business and it's owner. Apparently he was new to prospecting and had gone to the store to find out about buying equipment and learn more about the local prospecting community. He was met by the same individual as noted above and said he was treated in the same rude and discourteous manner and there was a total lack of business attitude towards him. He said he knew exactly who this was about and that this notation is "right on" and he wished he had read it before his trip to the store as it would have saved him time, money and aggrivation at being treated in this manner. So please read and head. One final note, the business and owner discussed above is not Rockazona. 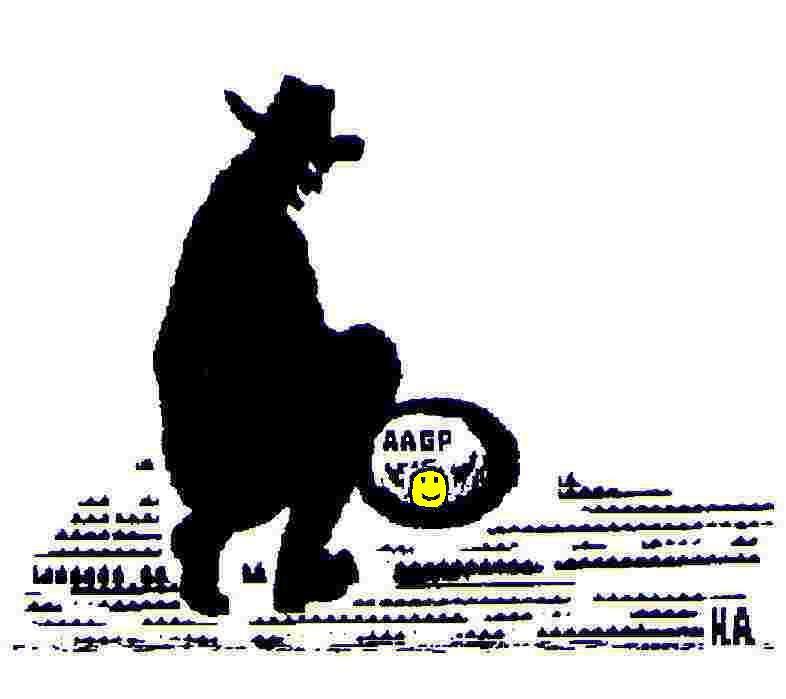 Hal and Roger have been a great asset to the GOLD prospecting community for many years and we highly recommend them to both the novice and experienced prospector.